Stroll with me through the Real Garden of Good and Evil. All fact. No fiction. You name your own price. My name is Don Teuton and for the last eight months my tour of Bonaventure Cemetery has been ranked by TripAdvisor as the number one tour company in Savannah. That’s of 165 tour companies. My parents, my grandparents, and my great-grandparents are buried in these hallowed grounds and I will be as well. I am Vice Chairman of the Bonaventure Historical Society and an active volunteer for the same. For me, and mine, Bonaventure Cemetery is a family tradition. If you’re looking for ghost stories; tales of secret societies, or other fanciful tales, this is not the tour for you. 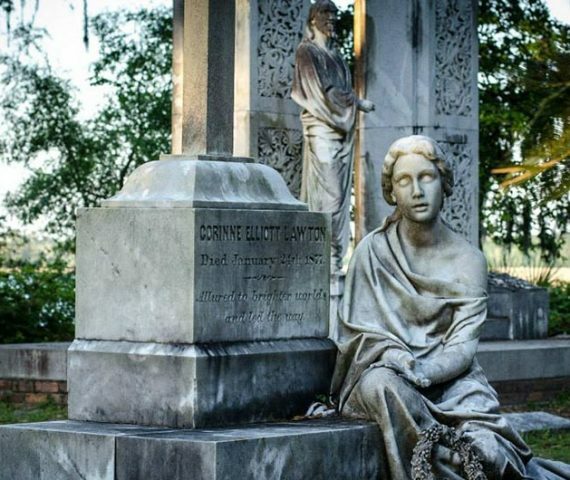 There are other Bonaventure Cemetery tours you can take if you want fiction. At the very bottom of this page you’ll find a link to my TripAdvisor reviews. Please follow that link and read what my past customers think about my tour. I know Bonaventure Cemetery inside and out and I do love to show it off. Y’all come see me. We’ll have fun, I promise. I don’t name a price for my tour. Instead, I ask that my customers name their own price. I want you to tell me what my tour is worth. The practice of a name-your-own-price tour keeps me on my toes. My tour has to be good. If you give me two and a half hours of your time, I promise I won’t waste it. I generally limit my daily tours to fourteen people. I prefer a conversation. But there’s wiggle room, for sure. Call, text or email if you’d like to book a larger group or require a private tour. We’ll make it work. 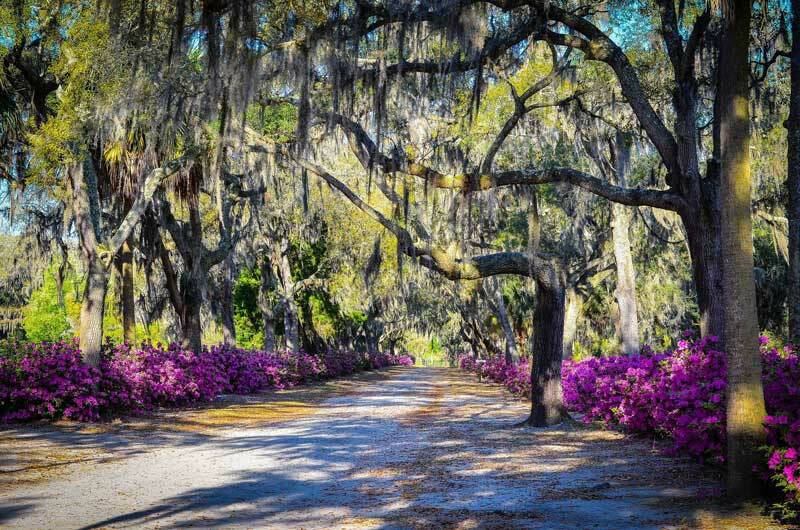 Together, we’ll delve into the graves, the Live Oaks, the Azaleas, the Camellias, and the real history behind Bonaventure Cemetery. I will introduce you to Confederate Generals, slave traders, a musical genius and the South’s very first feminist. And, along the way, you may discover a hidden piece from Tiffany. Eerie and enticing, the history of Bonaventure is also the history of Savannah. Distilled to its essence, mine is a simple tour of Savannah. But I do give it in Bonaventure. The people who made Savannah are buried here, and I try to do them justice. I give one tour a day, six days a week. On Tuesday, Thursday and Saturday my tour begins at 11:00am. On Wednesday, Friday and Sunday my tour begins at 2.30pm. We will walk about a mile and a half in the two and a half hours we’ll spend together. It is an easy stroll over flat terrain. Be sure to make the most of your experience by wearing comfortable shoes and anticipating Savannah’s weather. 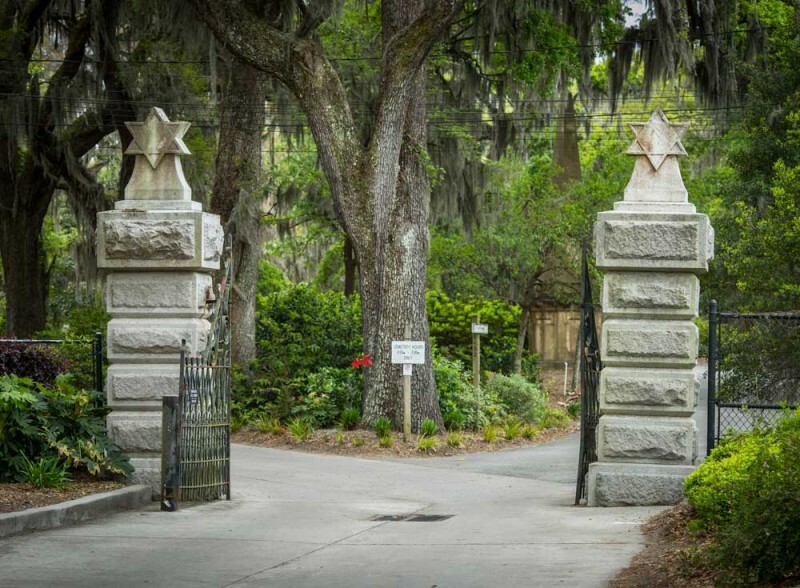 When you reserve your tour you’ll get an email with all the details, but, short story, Bonaventure Cemetery is located at 330 Bonaventure Road, 31404 and we will meet just inside the Jewish Gate, pictured below. Reservations are required, and I’m happy to have you. Y’all come see me, we’ll have fun. Click here to book your tour. You know you want to. Special requests? Let me know! BEST TOUR IN SAVANNAH, HANDS DOWN! Bonaventure Don is a kind, southern gentleman, who knows his stuff. 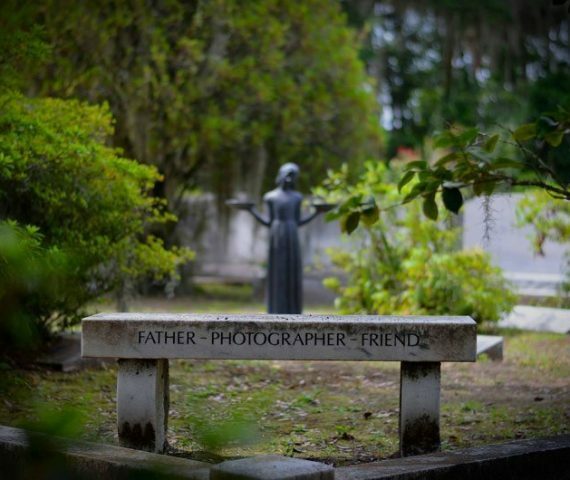 Friendly from the first moment to the last, you will learn virtually anything you want to know about Bonaventure Cemetary, Savannah, and the history behind the many characters who have come and gone since the beginning. Don is patient to listen carefully and answer any questions you may have. Since he is also a photographer, he encourages pictures and allows you time to stop and document all the beauty of the cemetary with it’s many design, architectural, and historically creative elements that make it unique among all others. If you can only take one guided tour while you’re visiting Savannah, we HIGHLY recommend taking the personal, walking tour with Bonaventure Don. You will be so glad you did. BY FAR OUR VERY FAVORITE TOUR OF ITS KIND!! Our tour with Don on Sunday afternoon was outstanding! Don’s knowledge and familiarity with the cemetery couldn’t be more solid! He explained SO much, and in a truly interesting manner. On a totally different tour we took while in the city, I mentioned to the tour guide that we had done the cemetery tour earlier in our stay. She inquired as to who conducted it. I told her Bonaventure Don, and her comment was, “You got the best!” This was a really interesting cemetery tour, first one I’d ever done. Don definitely set the bar high for any future ones! BEST TOUR EVER If you notice, this tour has nothing but 5 stars. There is a reason for that. This tour is nothing less! You cant get a better more informed person that Don telling you the TRUE history of the people buried here. I’m not interested in history at all and i left this tour with a thirst to know more about Savannah and the people who live there all due to the information shared on this tour. Past tours had me googling to see if i had been told the truth, but this tour had me googling wanting to know more! TAKE THIS TOUR! You wont be disappointed! Don provided a wonderful tour of Bonaventure Cemetery. He is well informed with many years of experience. His parents and grandparents are interred there as well. His tour showed us many interesting memorials along with a narrative. There is a lot of interesting history about the burials in Bonaventure. Having lived in Savannah for nearly twenty years, I occasionally take time to be a tourist in my own city. Sometimes the sites I see and the tours I take are a disappointment, but the two hours I spent with “Bonaventure Don” Teuton were just fantastic. Don is a fifth-generation Savannahian and his love for Bonaventure and it’s history is apparent. He gave our group a wonderful walking experience of Bonaventure Cemetery and we all came away amazed at his knowledge of every detail. Our group contained people eight people aged 14 to 70-plus, two of whom were from out of the state, and everybody was as thrilled with the tour as we were with the wonderful weather (low 70’s, sunny and breezy). You should be prepared to walk at a very comfortable pace for at least two hours and don’t forget your camera. The sand gnats, although annoying were not unexpected – so wear long sleeve/leg clothing and/or bring spray. I am glad I took Bonaventure Don’s walking tour and would absolutely recommend it to others. This is the best tour I have been on in Savannah. Don is a native and cares about ACCURATE information. If you want to hear about the amazing history (good and bad) of Savannah all done in a beautiful location this is the tour for you. If you want made up stories and theatrics there are plenty of “tour guides” in it for your money. I walked away feeling indebted to this man because of the incredible amount of knowledge he shares during his tour. He doesn’t act like a know-it-all and it is evident he pursues an attitude of continual learning. He welcomes questions and comments which kept things personal for me. His hospitality also added a personal touch. I like how he supplied ice cold water before and after the tour, kept us in the shade as much as possible and was even willing to share his bug spray. I love how he recommends other places to visit and even encourages you to call him with questions. I also like how he warns against misinformation, gives a bibliography and encourages you to think and check the facts for yourself. My wife was pleased that I found his tour. Woohoo!! She loves history and we soaked in as much of it as we could. Our only regret is that we didn’t start our trip to Savannah with Don’s tour. However, we were left with a hunger to experience more of Savannah in the future. Lord willing, we will be back! PS. As I said before, I walked away feeling indebted to the amount of time and effort he puts into the tour in relation to the amount I paid him. A name your own price tour is unheard of in our day and age. Thank you, Don! May God continue to richly bless you! As a history buff, I’m very picky about what tours we go on. We had the pleasure of Don being our guide and he did a wonderful job. His passion and knowledge kept us engaged. Listening to his stories made us feel like we were getting to know the city and it’s inhabitants. He’s a stickler for history and facts to my delight. As a bonus he’s quite the photographer and I hope they provide photos tours or we may even go on a private tour when we go back. Don’t hesitate booking a tour with them. Don was so into the tour ours went over by half hour. Now that’s passion. 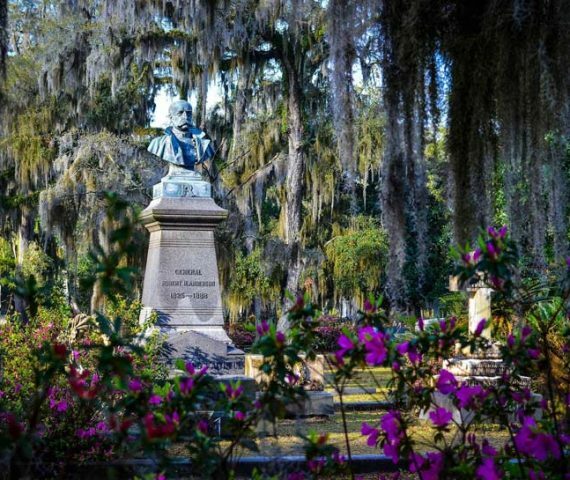 You’ll learn so much about the people and the history of Savannah by taking Don’s tour of Bonaventure Cemetery. You’ll laugh. You’ll cry. You’ll be fascinated. You’ll be outraged. You’ll be inspired. Bonaventure Cemetey is so much more than MIDNIGHT IN THE GARDEN OF GOOD AND EVIL. Don will talk about the incident and the people in that book, but he will take you far beyond that single incident in Savannah history. Don is passionate about his city and about the cemetery itself. He is a member of an association of volunteer caretakers and he spends his non-working days in the cemetery tending messy graves more often than the routine care provided by the cemetery. By now, this group will have installed a headstone for the carver of most of the glorious statuary in the Bonaventure Cemetery, and, indeed, in all the Savannah cemeteries. Why the carver of most of Savannah’s funerary art didn’t have his own headstone is quite a fascinating story and one that Don will undoubtedly share with you if you tour. Really a great experience! 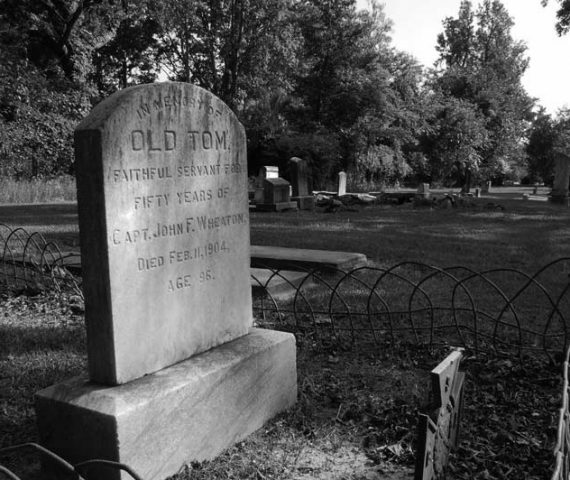 Touring Bonadventure Cemetery with Don is much more than a historical tour. Don weaves the history of Savannah among the many characters as you walk the grounds. There are tales of duels, friendships that endured the American Revolution, Mary Telfair’s business acumen, the darkness of Conrad Aiken, John Walz’ rise to a master sculptor, and Sherman’s occupation during the Civil War and many other nuggets of Savannah history. Don’t waste time touring on your own or with another company. If you like history and enjoy a good story, this is the tour for you!